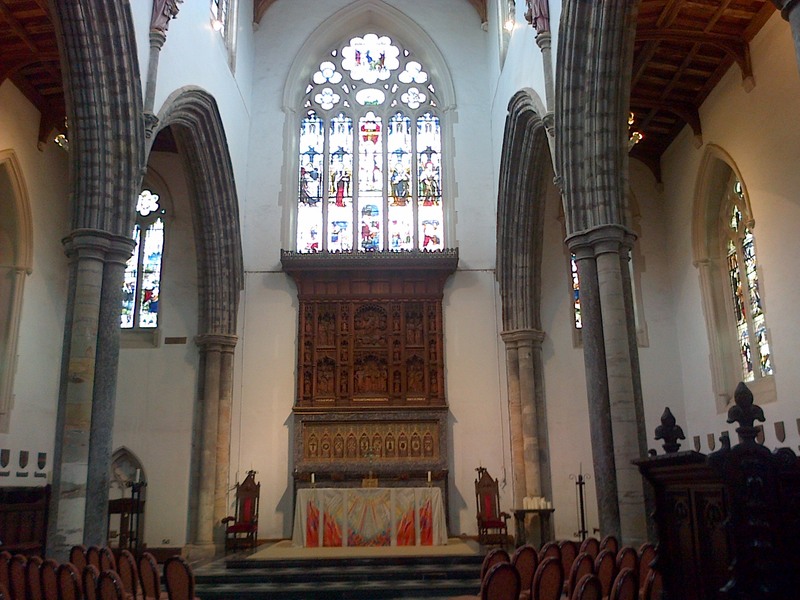 My tour began in the impressive St Peter’s Chapel, the largest private chapel in Europe and formerly the Castle’s Banqueting Hall. The original chapel was demolished following the Civil War. 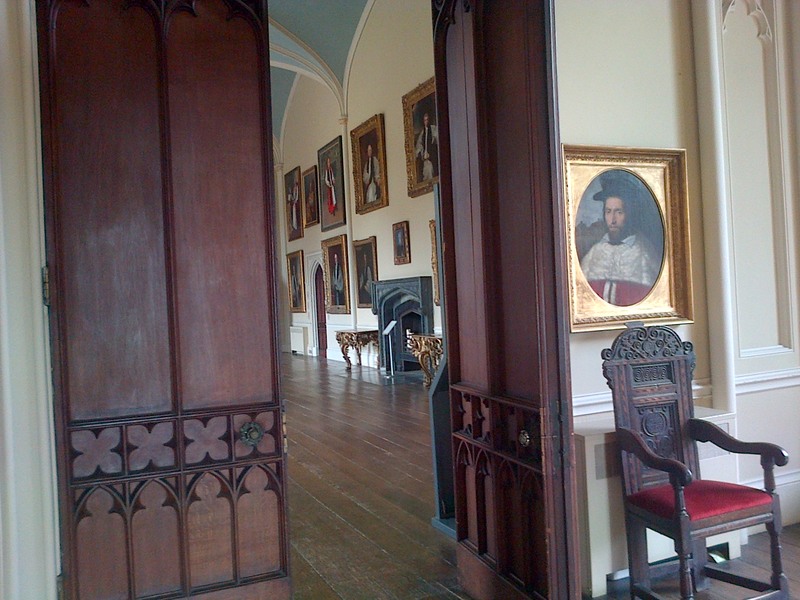 In the 1660s Bishop John Cosin (1594-1672) began the renovation of the Castle, including the conversion of the hall into the present-day chapel. Much of the decoration dates from the 19th century – notably the beautiful stained glass windows. Upstairs, in the Throne Room a gallery of Prince Bishops is shown through a striking collection of portraits, which includes paintings by Sir Thomas Lawrence (1769-1830) representing Bishops Shute Barrington (1734-1826) and William Van Mildert (1765-1836), one of the founders of the University of Durham. 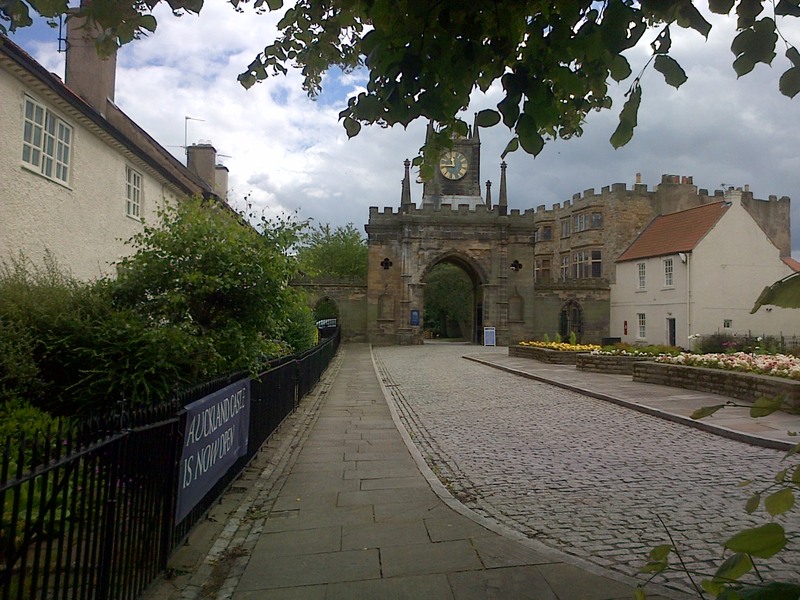 Barrington employed the renowned architect and Lunar Society member, James Wyatt (1746-1813), to make alterations to the Castle as shown through its neo-Gothic features. From the Throne Room I went into the much anticipated Long Dining Room, which was specifically re-designed to house the series of Zurbarán paintings that have been the cause of so much talk in the town for the last few years. While some might find the paintings quite unusual, shocked that they were bought for £15 million, it is clear to everyone that they are rather special. 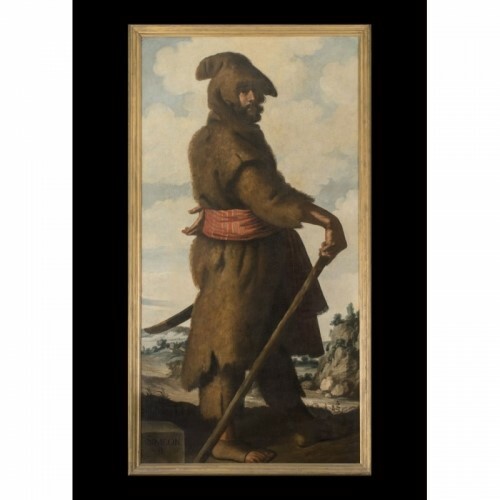 Few Zurbarán paintings can be seen in the UK – the National Gallery houses some of the Spanish artist’s work and you can read more about it on their website here. 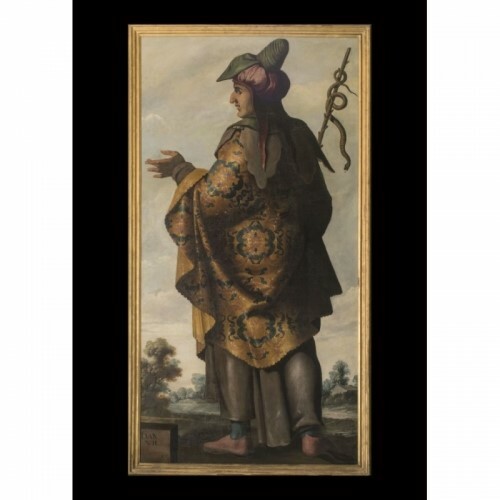 The Barber Institute owns a painting attributed to the studio of Zurbarán, Saint Marina, c.1630s, which is an interesting comparison to the Auckland Castle series. Zurbarán’s series at Auckland Castle is unlike anything I’ve seen before. It depicts larger-than-life individual paintings of Jacob and his Twelve Sons, the founders of the Twelve Tribes of Israel. The figures’ dress are somewhat theatrical and they are depicted in striking poses, almost like actors, and they tower over the landscape behind them. In fact, the artist depicted the figures in the dress worn during contemporary religious processions in his home town of Seville. The expressive gestures of the biblical figures is perhaps evidence of Caravaggio’s influence on Zurbarán. The interpretation in the gallery also highlighted the fact that his figures were based on Albrecht Dürer’s engravings. The early provenance of the paintings is mysterious – with one story suggesting that they were destined for a wealthy Catholic buyer in the New World but that the ship carrying them was capsized by pirates! 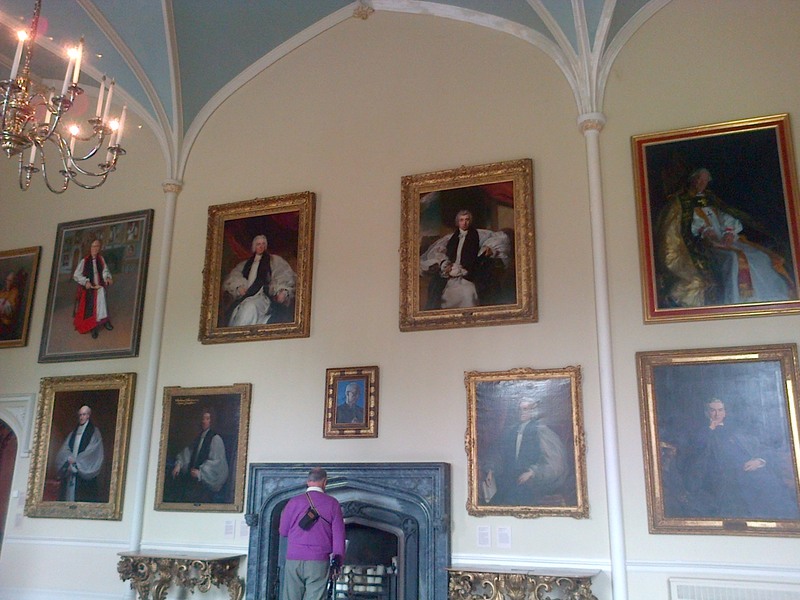 In any case, the paintings, dated c.1640-44, ended up at an auction house in London in 1756 and Bishop Richard Trevor (1707-1771) bought them for £124 (of his own money, in fact) to hang in Auckland Castle. He purchased the series as a deliberate political gesture – while the paintings can be considered as Counter-Reformation in style, produced in a Catholic culture, their reception in Britain was intended as a gesture of support for the toleration of the Jewish faith. In 1753 the government had passed the Naturalisation of Jews Act, but it caused outcry, and it was not until the following century that Jews were granted full civic liberties. 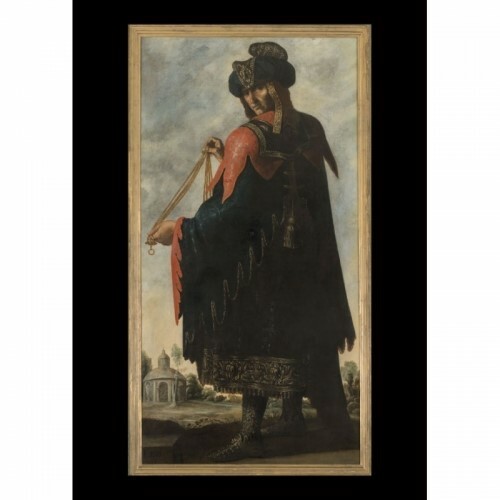 In this context, the 12 Tribes of Israel depicted by Zurbarán represented the foundations of the Jewish faith and, indeed, its shared heritage with Christianity, which would have been a bold gesture in eighteenth-century Britain – showing the power of art patronage on the political stage. Fittingly, an interesting temporary exhibition is currently on show in the room adjacent to the Long Dining Room, entitled, The Power and the Glory: How Religious Art made Tudor England and the objects on display are presented as ‘survivors’ of the destruction that would follow during the Reformation. The recent exhibition at Tate Britain, Art under Attack: Histories of British Iconoclasm, showed objects that had been damaged during the Reformation (see my post about the exhibition here), whereas The Power and the Glory presents beautifully preserved, intact objects such as Margaret Beaufort’s Book of Hours and Elizabeth of York’s signed prayer book. The exhibition highlights how the political and religious landscape in Britain changed significantly as a result of the Tudor reign. 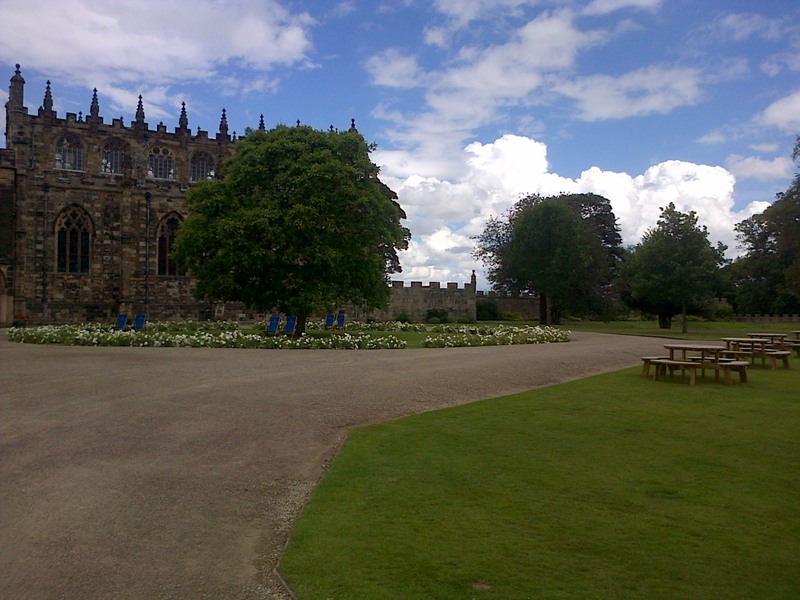 Future plans for Auckland Castle include the establishment of a museum dedicated to the history of religious faith in Britain and extending its collection of Counter-Reformation paintings (find out more about the castle’s regeneration on their website). It would be an apt site for such a museum given the link with nearby Durham Cathedral and a little further away, the Holy Island of Lindisfarne. The Castle reminded me of the Palais des Papes in Avignon and a much smaller version of the Vatican, so it will be exciting to see what becomes of Auckland Castle in the coming years.